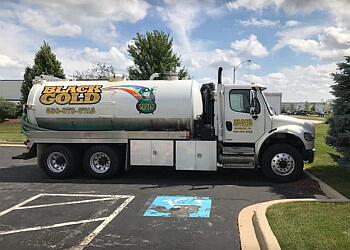 Handpicked Top 3 Septic Tank Services in Aurora, Illinois. They face a rigorous 50-Point Inspection, which includes customer reviews, history, complaints, ratings, satisfaction, trust, cost and general excellence. You deserve the best! 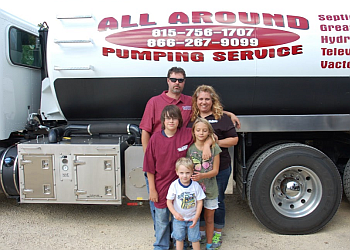 ALL AROUND PUMPING SERVICE, INC.
Their trucks have over 200 feet of hose to allow them to reach all locations ● Their friendly and helpful staff is here to answer all your questions ● Serves in DeKalb County, Cook County and Chicago suburbs surrounding counties ● Free estimate ● Has several pieces of specialized equipment and nozzles to clean from 2-inch to 48-inch drain lines. 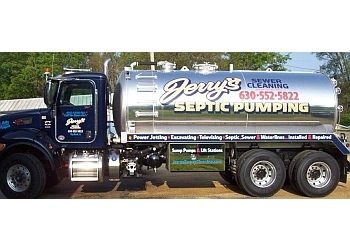 JERRY'S SEWER CLEANING SERVICE, INC.